to a continually evolving market. of special cables, it's the center of research of the group, regarding new materials and special productions. 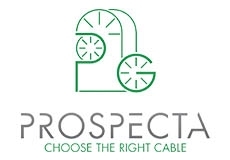 The technological research, dynamism, competence and availability of people working in Prospecta Group are the necessary and essential components that allowed us to grow and become a consolidated reality in Italy and abroad.